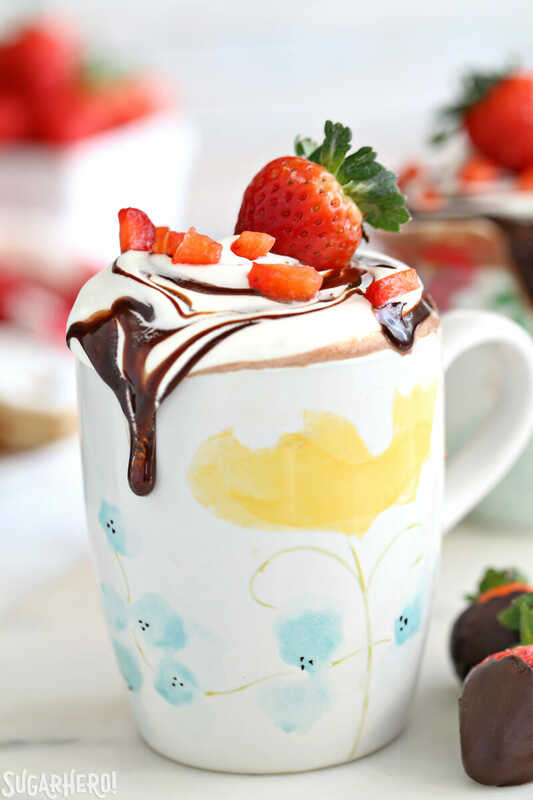 If you like chocolate-dipped strawberries, you’ll love this strawberry hot chocolate recipe! It’s a rich and creamy homemade hot chocolate with real strawberries blended right in. There’s also a crock pot option if you want to make large quantities! It’s mid-January. It’s a bit of a dreary time–we’re past the holidays but still bundled up for the next few months. (And if you’re in Utah like me, we’re “enjoying” clear, snowless skies that bring terrible pollution and breathing problems.) In short, we’re gonna need some chocolate up in here. Lots and loooooots of chocolate. This Strawberry Hot Chocolate is just the thing to get us through the next few months. It’s based on my favorite hot chocolate formula–more on that below–and includes real strawberry puree, blended right in! 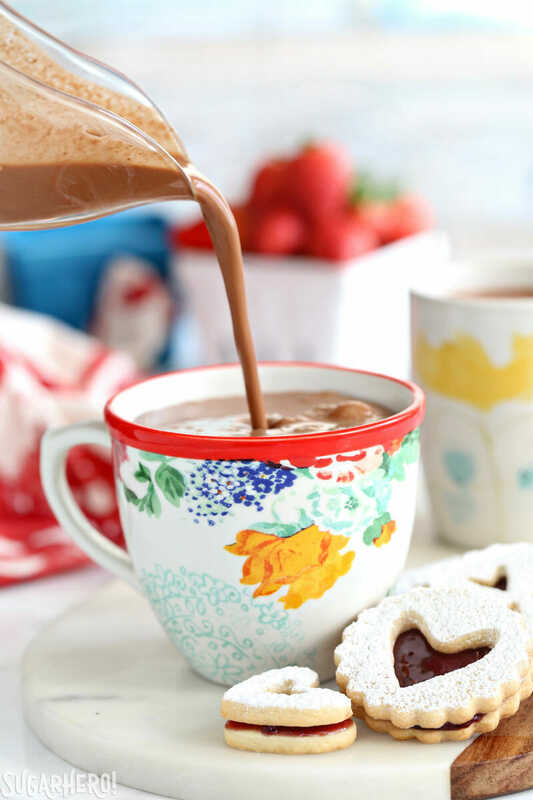 It’s got that chocolate-dipped strawberry thing going on, and the fresh berry flavor is just the thing to lighten and brighten the indulgent hot chocolate. The first is non-negotiable. Using chocolate candy coating or cheap chocolate chips will give you a disappointing result. All of the flavor of the hot chocolate comes from the chocolate you choose, so don’t you want to choose a chocolate that tastes really, REALLY good? It doesn’t have to be $15/bar, but please don’t use waxy generic chips and then wonder why the hot chocolate is mediocre. I always keep a stack of Trader Joe’s dark chocolate Pound Plus bars on hand. They’re about $5/lb and really good quality for the money–and they make amazing hot chocolate! But really, any bar that you enjoy eating should work just fine. If you use milk chocolate, the flavor will be more subtle (and more sweet), so you might want to adjust the chocolate/dairy ratios in the recipe to get a taste you like. As far as the cream goes, you CAN swap it for half-and-half or even milk if you’d like. But for the smoothest, richest, most enjoyable taste, I always reach for cream. 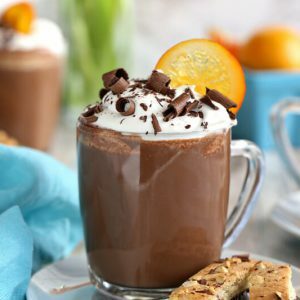 (And don’t be fooled by these pictures–because my hot chocolate is pretty indulgent, I usually serve it in smaller portions because a little bit is very satisfying!) That said, feel free to play with the milk and cream amounts too. For the strawberry flavor, I first tried this recipe with fresh, ripe strawberries, blended and then strained. Since berry quality and availability can be really hit-or-miss in winter, I also tried it with frozen (defrosted) berries, and that worked too. I thought the flavor of the fresh berries was better, but if frozen is what you have, go for it! 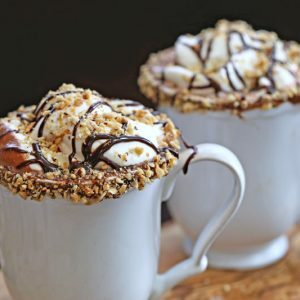 Finally, any hot chocolate recipe is improved with a dollop of whipped cream and a drizzle of fudge sauce on top! Because it’s winter, and because we all need a crock pot full of SOMETHING delicious simmering on our counter tops, I’m also including notes for how to make this in a slow cooker. It’s super easy, just make sure you’re around to whisk every now and then. Enjoy! 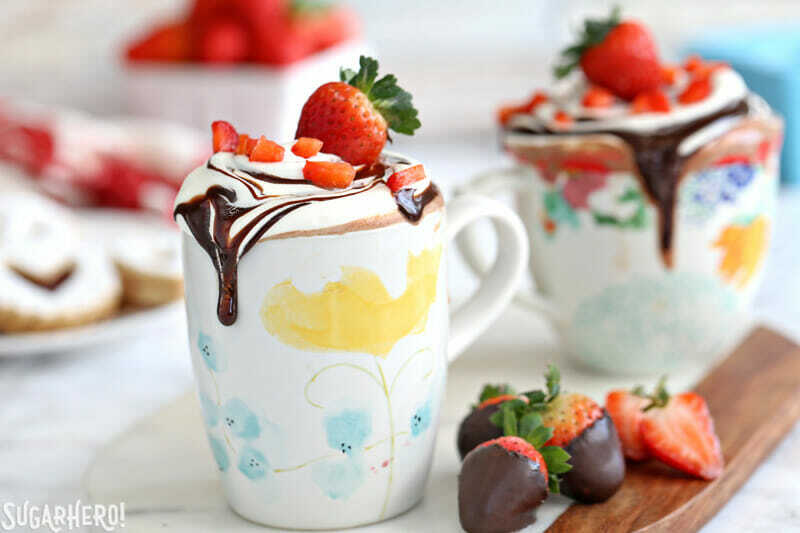 If you like chocolate-dipped strawberries, you'll love this strawberry hot chocolate recipe! It's a rich and creamy homemade hot chocolate with real strawberries blended right in. This recipe is rich, so I typically serve it in small 1-cup portions. There's also a crock pot option if you want to make large quantities! Place the washed and hulled berries in a blender or food processor, and blend until they are a smooth puree. 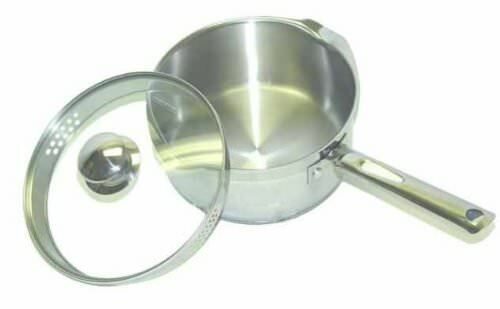 Pour the strawberry puree through a fine mesh strainer into a large saucepan, to remove the strawberry seeds and any large berry solids. Add the cream, milk, finely chopped chocolate, and salt, and place the pan over medium heat. Whisk often as the mixture heats up, and continue to whisk and cook the hot chocolate until the chocolate is melted and everything is smooth and homogenous. 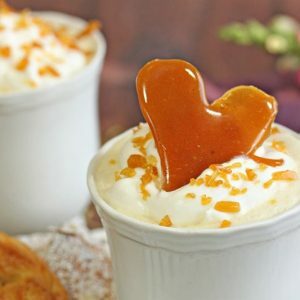 Serve in small cups, topped with the garnishes of your choice. 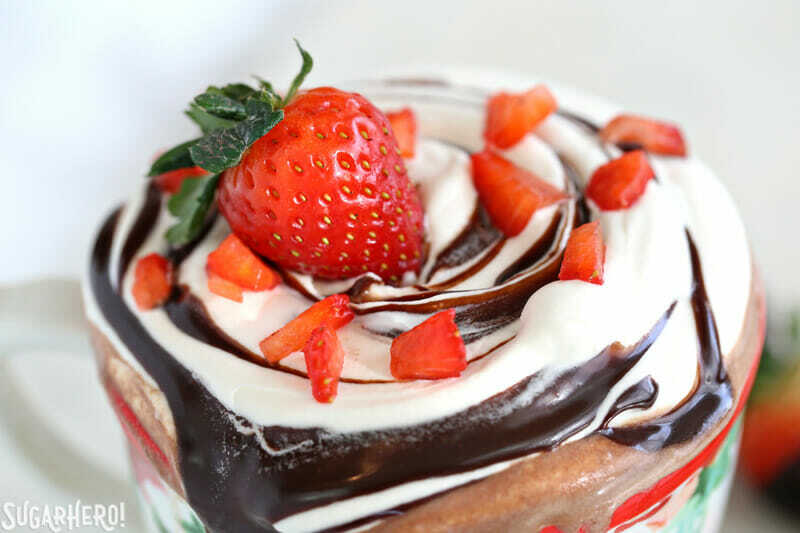 Whipped cream, fudge sauce, and a sprinkle of chopped fresh strawberries are my favorites! To make this in a crock pot, blend and strain the berries as described above. Combine all ingredients in a crock pot, and cook on Low for 2.5-3 hours. Whisk about every 30-45 minutes if you remember. This recipe can easily be doubled in a crock pot. This looks incredible! My 2 favorite things combined in one, strawberries and hot chocolate! I will have this on my cheat day. Thanks Diana! It’s definitely a great choice for a treat/cheat. 🙂 Let me know how it goes if you give it a try! 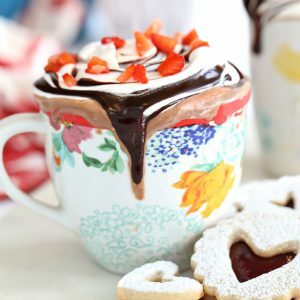 Love chocolate and strawberries, but have never thought of having them in a hot chocolate before, sounds amazing. 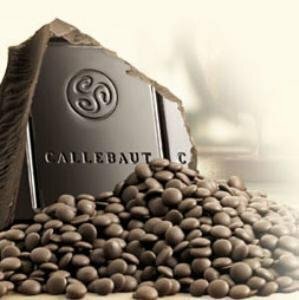 Like you, I believe that you need to use the best quality chocolate for a hot chocolate, totally makes all the difference. Oh for sure! Chocolate chips have their place in baking but it’s NOT in my mug of hot chocolate, haha. Thanks Sara! Oh my! Is it Valentine’s day already..I still would like to get my hands on this cup..it looks tempting. It’s not quite that time yet, but it’s not far off! Hard to believe, huh? Thanks for the sweet comment! And yes the inversions in SLC are the WORST. I was so sick before Christmas and couldn’t go outside because of the smog. The past few days have been nice – hopefully the clean air will stick around! Thank you so much, Kelly! I didn’t intend to be gone so long but it is so nice to hear that I was missed. 🙂 I’m thrilled we finally got some snow and the air has cleaned up a bit. It’s such a beautiful area when it’s not covered by smog! Oh my goodness, mine too. It’s my pick-me-up for cold weather! what a delicious clever idea! bravo! Yum!! It’s the middle of summer here so a hot chocolate might not be the sensible thing to do but I’ll try it anyway!! I’ll try a DF version and let you know how it goes. 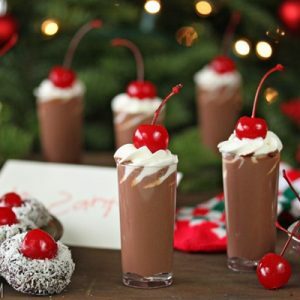 Oh yeah, hot chocolate in hot weather doesn’t sound too fun…maybe crank up the AC first, haha! Definitely let me know how a dairy free version goes! I think coconut milk with a bit of coconut cream could be a great substitute!